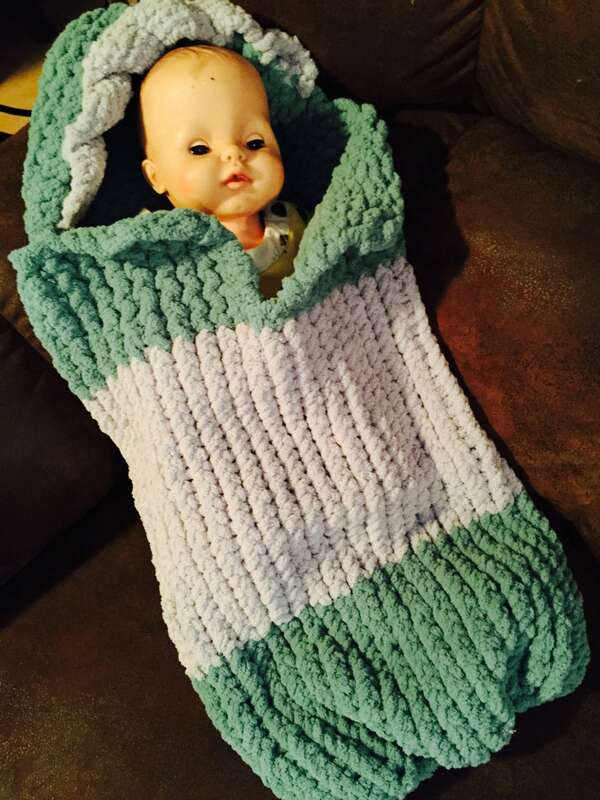 Loom knit this snuggly cocoon in your favorite super bulky yarn for a quick baby gift. 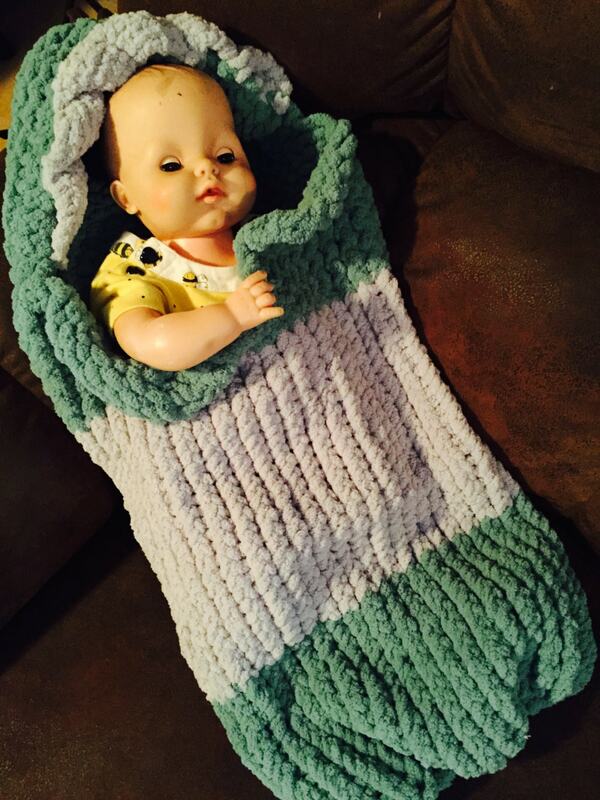 This cocoon is knit in one piece on a 41 peg yellow Knifty Knitter 3/4” gauge loom. 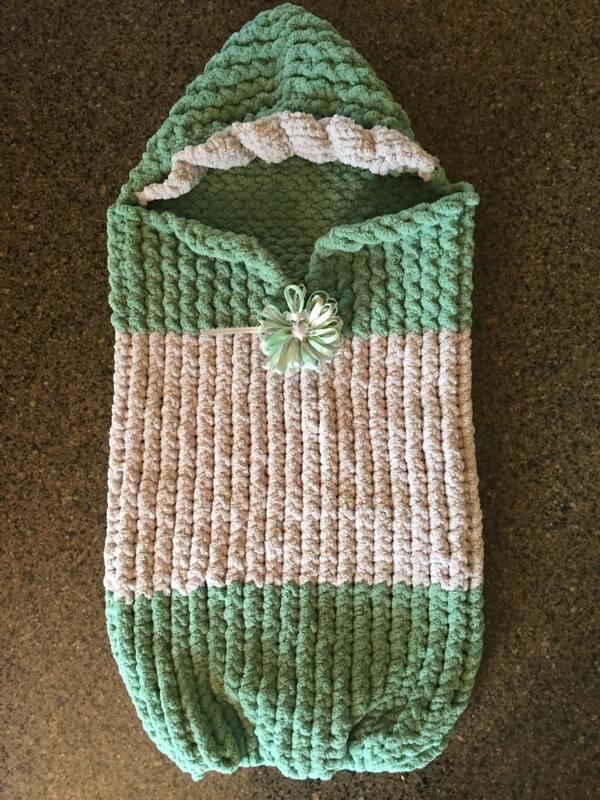 The sample was knit using two colors of Herrschners Macro Fleece yarn, but would also look darling in a solid color with a contrasting color for the ruffle on the hood. This pattern is suitable for an advanced beginner.